Revolutionary Lives from Alicia Curtis on Vimeo. How will you use your voice, influence and talents to improve the world around you? We inspire leaders to change the world for the better. Alyceum helps guide and inspire people to live purpose and values driven lives and lead positive change within business or the community. As a values driven leadership education platform, Alyceum provides transformational programs for emerging leaders, having worked with over 20,000 people in the last 15 years. Compelled by building an inclusive society where everyone has the opportunity to lead and make a difference, Alyceum has led award-winning board diversity programs, experiential millennial leadership programs and social change campaigns such as #1000youngdirectors. Alyceum aspires to build a global community of leaders, facilitating life changing experiences and spaces for deep leadership thinking, conversation and connection to move people to become agents of positive change. Our name, Alyceum is derived from the latin word, lyceum, which is a place of learning. It was a place to improve yourself and your community. Lyceums were a place for philosophical debate, dramatic performances and sharing of ideas. The most famous philosophers in history taught at Lyceums including Aristotle, Plato and Socrates. In today's world, there is a growing need for leaders to come together and explore new ways of leading in business and the community. Alyceum is growing a community of leaders who are making the world a better place. Our vision is to revitalise the lyceum movement to ignite leaders to transform the world for the better. We believe that leaders can and do change the world. Yet, we live in a society where the integrity of leaders is frequently called into question. Leadership starts with accepting the responsibility of being a role model. Leadership is much more than just a title or a badge, it is a way of being. It is the who you are - your values, your strengths, your motivations, as well as the what you do - your words, decisions and actions. Our business inspires and enables leadership to positively impact the world. This starts with us and we commit to being role models in the home, workplace and community! Anything is possible! Optimism is approaching life, business and the future with confidence and with the best outcome in mind. We understand that our thoughts impact our behaviour. We are responsible for how we view and interpret everyday activities and therefore we actively practice choosing our most empowered response to situations. Our optimism is fuelled by our mindfulness, gratitude and responsibility to curate our own existence. It’s contagious to those around us. Vitality is a state of being strong, active, enthusiastic and engaged. This energy can be an incredible force and contributes to achieving our purpose. We approach life and business with the energy, zest and spark that it deserves. It is our responsibility to develop practices that improve and sustain our vitality to ensure we are of best service to others. We are committed to making things happen. Often we engage in projects that challenge the status quo and require new thinking. Our success is due to our determination and endurance to overcome challenges. We have a strong work ethic that is supported through a long lasting energy to do well. Our commitment is to be consistent over the long term, to work patiently and persistently. We value hard work and discipline. Revolutionaries seek to fulfil their highest potential in line with their purpose and values. We see that this is the case for individuals, organisations and communities. Striving to our highest potential is about the journey of mastery. This means our clients always get access to leaders with an intense intrinsic desire to improve, to advance and to excel. At an organisational level, being revolutionary involves seeking out and championing new ideas, projects or alternate ways of thinking. We believe that good business is about more than just making money, it’s about co-creating value for the benefit of ourselves, our clients and our community. We believe business is a powerful vehicle for social change. Business can play a role in solving important social issues either in the programs we provide or our involvement in the broader community. Doing good in the world is ultimately a good business decision as well as it being just the right thing to do. Alicia Curtis is one of Western Australia’s most inspiring social and business entrepreneurs as an award winning speaker, leadership facilitator and community change maker. Living the life of a revolutionary has always come naturally for Alicia. Her leadership journey started at 12 years old attending the first International Children’s Conference organised by the United Nations and then co-founding her own children’s conference in Perth. Clearly with a knack for inspiring crowds and empowering people to discover their own potential to be leaders, Alicia established her leadership development company in 2001. Her presentations and programs have received many awards for challenging the stereotypes of who can be leaders and the difference they can make. 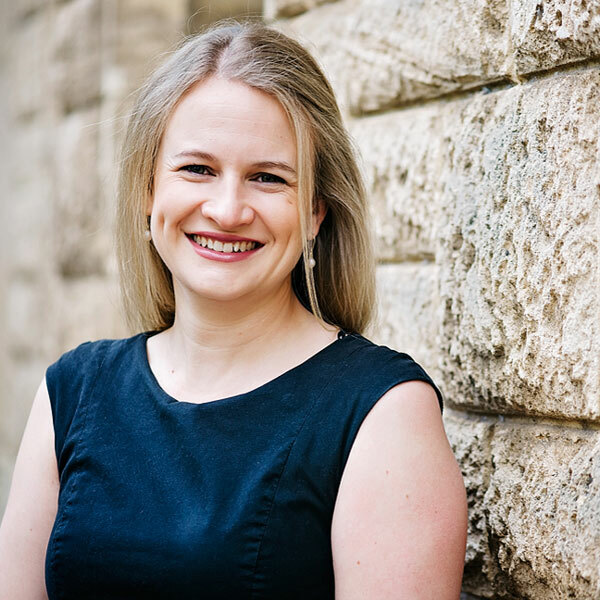 Alicia has a Masters in Business Leadership and was named in the Westpac and Australian Financial Review’s 100 Women of Influence List across Australia. Alicia continues pushing the boundaries of what’s possible. She is the co-founder and inaugural board chair of a women’s giving circle called 100 Women which inspires everyday people to become powerful philanthropists. Alicia is passionately driven by her purpose to ignite leaders to transform the world for the better - whether than be in the workplace or broader community. We are passionate supporters of 100 Women. We are a member and Alicia Curtis is the Chair of the Advisory Board. 100 Women has raised nearly $400,000 in the past four years and has awarded this to thirteen different causes that support women and girls locally and globally.